When the circumstances of life push against us, it can take a concerted effort to remain in a peaceful state. This last week was a perfect opportunity to walk in peace in spite of the craziness all around. 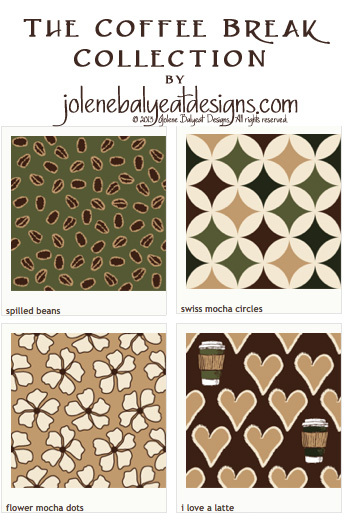 Although it took a week longer than I had expected, the Coffee Break fabric collection is available on Spoonflower at last! Staying peaceful is always a good idea. This entry was posted in Inspiration, Tutorials by jolenebalyeat. Bookmark the permalink.